I’m itching to get started on this journey, but I want to get the wrinkles out of the map and make sure east is east and west is west whether it’s important which I choose. I’m less inclined to set out a definite route or timetable, but a direction of travel will do and willingness to take a detour when there is temptation. In real life, I won’t be travelling much beyond my usual borders, if at all, this year. So, to quote Jimmy James and The Vagabonds I’ll Go Where The Music Takes Me or Rafael Rosina (never heard of him until this moment – but that’s the point) says “Follow the Music”. This will be a tour I would love to take in real time; I doubt if I ever will. We start in southern Spain, let’s say at the Straits of Gibraltar, and end at northern Morocco at the Straits of Gibraltar. Our starting point and finish line are The Pillars of Hercules. 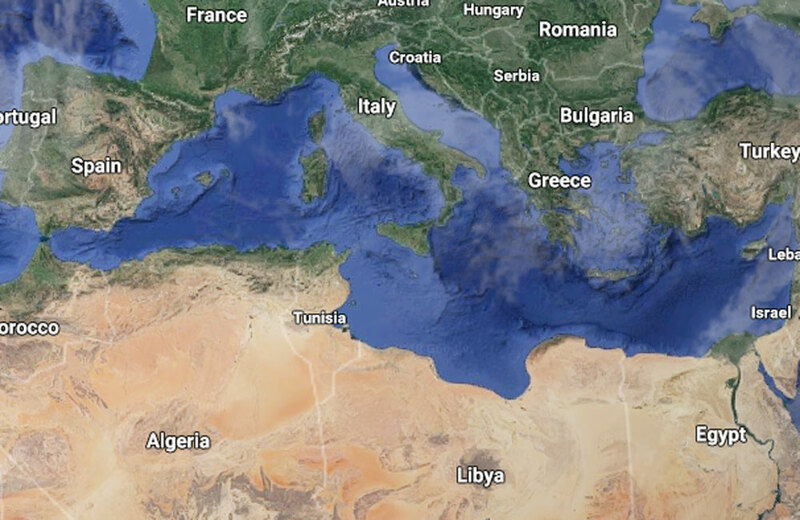 The route is Spain, France, Monaco, Italy, Slovenia, Croatia, Bosnia and Herzegovina, Montenegro, Albania, Greece, Turkey, Syria, Lebanon, Israel, Palestine, Egypt, Libya, Tunisia, Algeria and Morocco. I have all the time in the world. To find traditional and contemporary “folk” music, or any interesting or challenging new music from the coastal region or provinces that have a Mediterranean shore. If there is something interesting further inland, follow the sound of the music. Clockwise, but going back to add more to each post is allowed. Should anyone want to add their experience or knowledge, please do. I’m making this up as I go along.